stagecoach transportation available five-days-a week up until that time. Something that took my husband and me by surprise when we visited was an old Chinese cemetery. Before visiting the town, I didn’t realize it had contained a sizable Chinese population that was brought in to work the mines, and included a one-to-two block-long section of town built specifically for the workers and their families. One of the things I loved about Baker City was the diversity. You’ll find the beautiful, ornate Geiser Grand Hotel containing stained glass ceilings and ornate wood work, and then a few miles from town the valley contains expansive, rugged cattle ranches and barbed wire fences. The historic district drew my interest the most as it includes a wealth of businesses and old homes open for tour, and the local museum boasts a video of the area depicting many of the founding fathers and their homes. and was slated to be demolished) who saw the historic value and poured a huge amount of money into saving the building. Boasting a corner turret or cupola with a clock tower, crystal chandeliers, and three stories above the original dining area that seated 200 is the largest stained glass ceiling in the Northwest. One of the fascinating aspects of this hotel is that, at the time of its creation, it had a working elevator, (one of three west of the Mississippi River) and electric lights. It cost a whopping $65,000-70,000 to build, a huge price at the time. Guestrooms feature 10 foot windows, many of which look out toward the Blue Mountains. I discovered an interesting aspect about the hotel, not noted online, but known to many of the locals. At one time in its heyday, women of ill repute were brought in to entertain the wealthy miners and businessmen. Most of the bedrooms were on the second and third floor, and an open, circular hallway was visible from the ground floor. The circular railing curves around with rooms opening off of the hall. When the ladies of the town discovered some of their husbands were visiting the Grand for not-so-respectable reasons, they would sit in the dining area. There, they could keep a hawk eye on the hallways and doors, as the dining area is open all the way up to the stained glass ceiling three floors above. Finally, in desperation as his business was ebbing, the owner built an external stairway at the back of the building and snuck his customers up that way, thus avoiding the watchful eyes of the women. Another gorgeous historic building is the Baker City Hall, built in 1903, it stands as one of the most beautiful historic buildings in the Baker Valley and boasts its original copper-clad roof. We also loved the old fire station and the newspaper office that’s still open today. The first public school was a two-story frame building, later replaced in 1889 by a three-story brick building, due to the fact that fire ravaged the town more than once, burning many of the businesses to the ground. The most disastrous fire burned every structure on the east side of the 1700 block of Main in 1887. Before the year was out, every building had been replaced by one built of brick. Most still stand today, except for the ones on the south end torn down to make room for a gas station. historic places open to tourists were a wonderful source of material as well as an inspiration. We found the people to be friendly and helpful, and stories about the area abound at every turn—truly a writer’s delight. 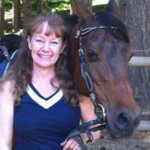 Miralee Ferrell is a multi-published, award-winning author of 20 books. She lives in the Pacific NW with her husband of 42 years, where they enjoy working in their yard and series, Love Blossoms in Oregon, was set in Baker City, Oregon, during the 1880s. Her fifth book, Rebel Horse Rescue in the Horses and Friends series, a set of horse novels for middle-grade kids, released three days ago. 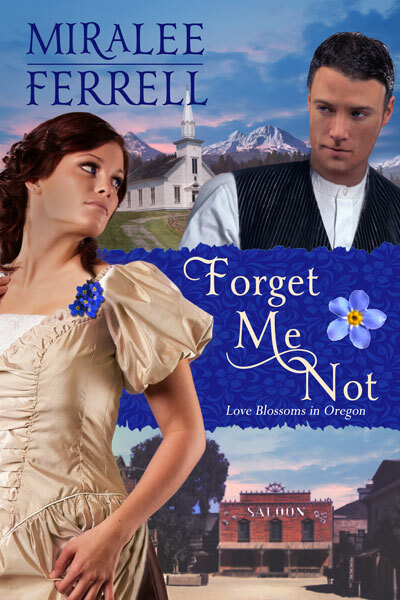 Forget Me Not is part of the historical romance, Love Blossoms in Oregon series, published by David C Cook. This book can stand alone, but is better enjoyed when reading the series and getting acquainted with the full cast of characters from the Love Blossoms in Oregon series. This is historical romance that offers hope and healing to the deepest wounds in a woman’s past. Very interesting. Love the pictures. Thank you, Chappydebbie! I truly enjoyed our stay there and would love to go back sometime in the future. Great pictures and informative post. Thank you for sharing. Thank you for visiting, Marilyn! We appreciate our readers so much. My husband and I recently stayed at the Geiser Grand Hotel, with its impressive stained glass ceiling, and admired the brick buildings on our walk along Main Street. Now I know the story behind the construction. As you mention, Miralee, Baker City is fascinating! We'll return to learn more about the town's history. Thanks for your post. Sherida, we didn't get to stay at the Geiser Grand, but I'd love to someday. What a treat! It's a lovely old structure with so much history. You might enjoy learning even more history behind the town in story form...all four books in the Love Blossoms in Oregon series are packed with true history from that area.